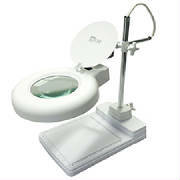 Extremely light weight and very comfortable. 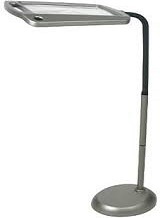 Magnifying inspection glasses are available as 3 models and 6 powers. 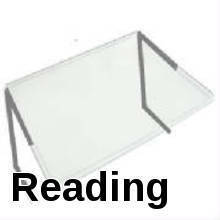 Hands Free 3X Full Page Desk Magnifier. 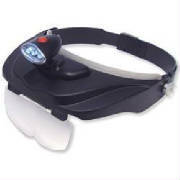 Lens Size: 8.5" x 9.75"
Wearable magnifiers (binocular magnifier) provide higher magnification then ordinary glasses. 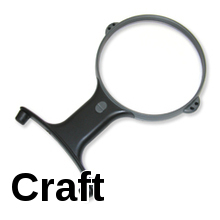 Excellent inspection magnifying lens magnifiers. 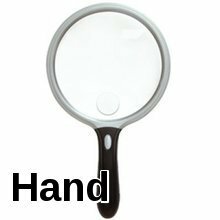 Hands Free Magnifer: Hands free reading magnifiers and hands free craft magnifiers are perfect for the person who has to keep both hands available when reading or for close detail work. Enjoy reading or performing intricate tasks for crafts or model building. 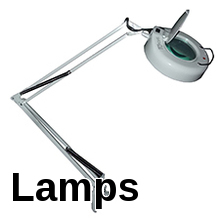 There are many types of hands free magnifiers such as head magnifier, desk magnifier and reading magnifying lamps both lighted and non-lighted. 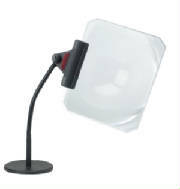 Hands free magnifiers are best for long term use as opposed to hand held magnifiers that are used for a short duration. 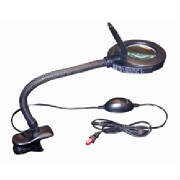 Lighted Magnifier : A lighted magnifier will provide better magnification results as they provide a sharper and clearer image then a non-lighted magnifier. 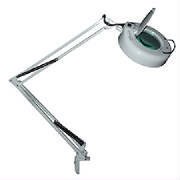 Our craft magnifiers with light and lighted reading magnifiers are either led or fluorescent lighted and provide a soft white light to ease eyestrain. 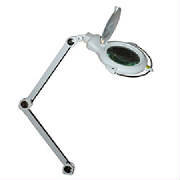 Lighted magnifiers are available as hand held magnifier and hands free magnifier models. 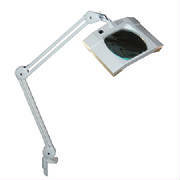 Magnifier glass power and work distance: Select magnifiers with a power that will allow you to perform your task at a comfortable distance. 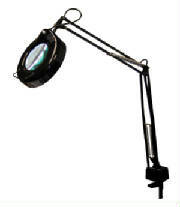 The higher the power of the magnifier the shorter the focal range(work distance) and the smaller the field of view. 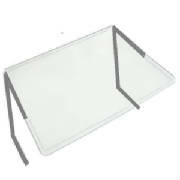 The high power magnifier may not be the best magnifier for you. 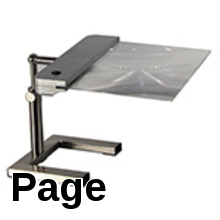 Our large magnifier selection can help those with presbyopia and macular degeneration. Diopter: Diopter is a measurement that is used to calculate the power of a magnifying lens. 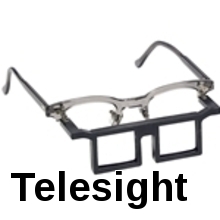 The higher diopter will provide higher magnification. Diopter is expressed as "D". Power: Power is how large an object or print increases as you look through a lens. Magnifier power is expressed as "X". Focal Length: Measurement from the center of the lens to to the object and be in focus. Focal Range: The distance from the magnifier lens to the object being viewed.